‘Exclusive’ claims NUFC will make “record-breaking” striker bid to keep Benitez at the club – NUFC blog – Newcastle United blog – NUFC Fixtures, News and Forum. 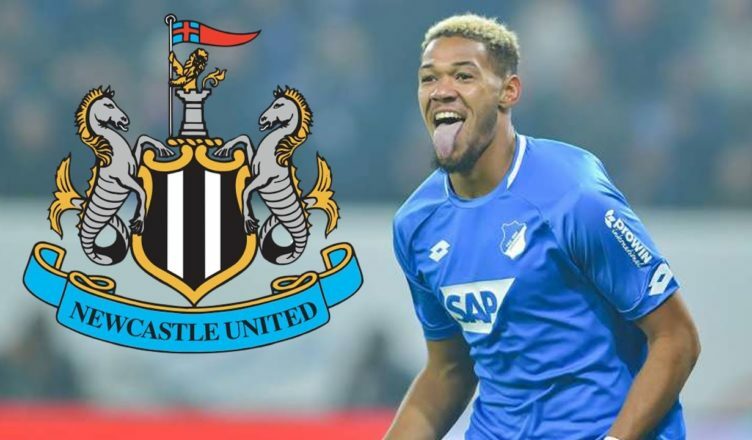 According to a dubious ‘exclusive’ from the Sun, Newcastle are preparing a “record-breaking” move to sign £40m-rated striker Joelinton in a bid to keep Rafa Benitez to stay at St James’ Park. Considering Ashley could pay £16m for proven striker Salomon Rondon and keep Benitez happy as a result, I can’t quite see us spending well over double that on a talented but not entirely proven player from Germany. This isn’t the first time we’ve been linked with the highly rated Brazilian – and the Chronicle did admit recently that he’s a player we’ve been tracking – but talk of a £40m bid seems ludicrous. ‘Newcastle will attempt to keep Rafa Benitez this summer – by making a record-breaking move for Brazil striker Joelinton. ‘Benitez is out of contract in the summer but will get further backing in the transfer window if he decides to stay at St James’ Park. ‘Miguel Almiron’s arrival in January for £20.7million smashed the club’s record transfer fee that stood for 14 years. ‘Michael Owen had held that mantle ever since joining for £16.8m from Real Madrid way back in 2005. ‘But they are preparing a £40million move for Hoffenheim’s Joelinton after his impressive form in Germany. ‘The 22-year-old is on course for double-figures in Bundesliga this season and his club are braced for summer offers. The Sun reporting that #NUFC are ‘preparing’ a £40m move for Hoffenheim’s Joelinton in order to persuade Rafa Benitez to stay. Would be some statement. He is a player United have looked at. Seeing us pay £20m to sign top target Miguel Almiron in January was one thing – something that was probably done to appease protesting fans, help convince Rafa to stay and ease our relegation fears – but I don’t see a world where Ashley pays DOUBLE this. Joelinton looks a real talent, and the fact he’s the only player to complete 30+ dribbles, 25+ tackles and score 5+ goals in the Bundesliga this season shows you why he’s a ‘Rafa player’, but a player who’ll cost this much isn’t an ‘Ashley player’. The 6ft 1′ Brazilian can play as a centre forward or number 10 and has 11 goals and 9 assists in 30 appearances this season. Do you really think that buying a striker we already have is sufficient to keep Benitez?